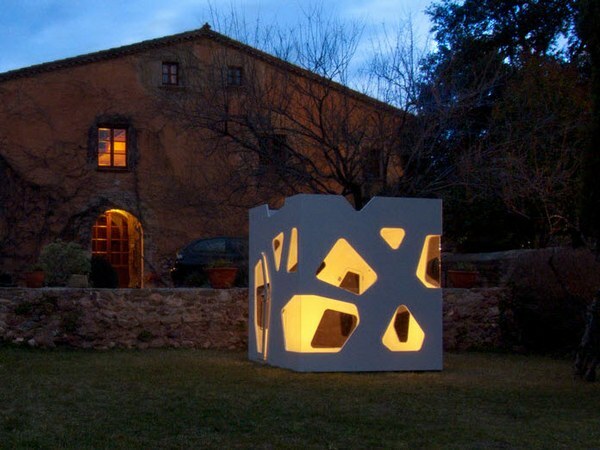 If you can’t have your own modern architectural showpiece, why not have a miniature version? 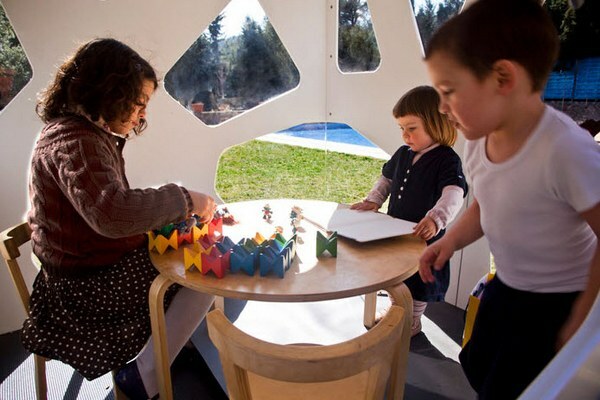 These cubby houses are simply divine and they may just prompt you to hang a sign on the door saying “Mums and dads only! No kids allowed!”. 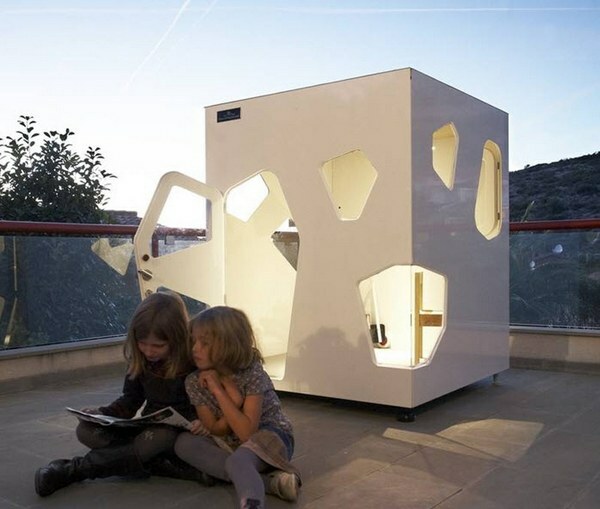 Spanish architect David Lamolla Kristiansen began SmartPlayhouse, a company that creates child-sized cubby houses inspired by contemporary architecture. The results are breathtaking. 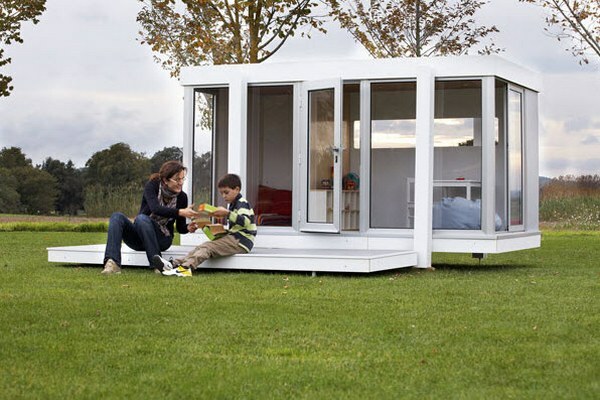 There are four designs in the SmartPlayhouse collection. Put a Kyoto in your backyard and I suspect you’ll have neighbours looking over your fence for a sticky-beak. Inspired by Japanese avant-garde architecture, lots of windows in uneven shapes give the Kyoto a futuristic edge. 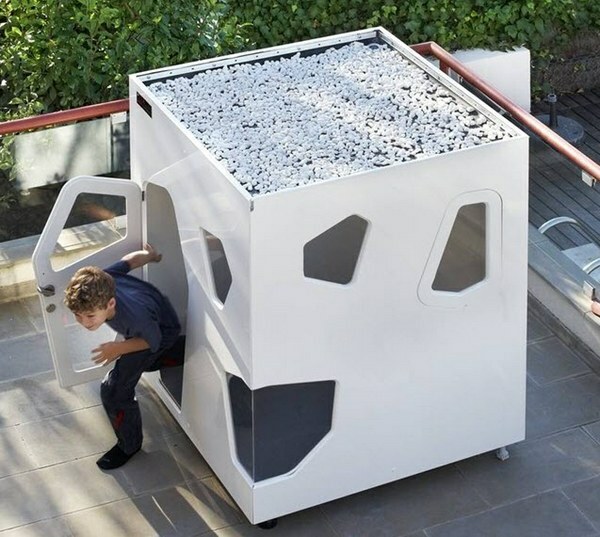 Taking a lead from the Modernist movement, the Illinois cubby house is sleek, unfussy and quite frankly, plain marvellous. For a rustic look that maintains a modern edge, the Hobikken cubby will appeal. Depending on how many are in your brood, it can be sized from Mini to Junior to Maxi. 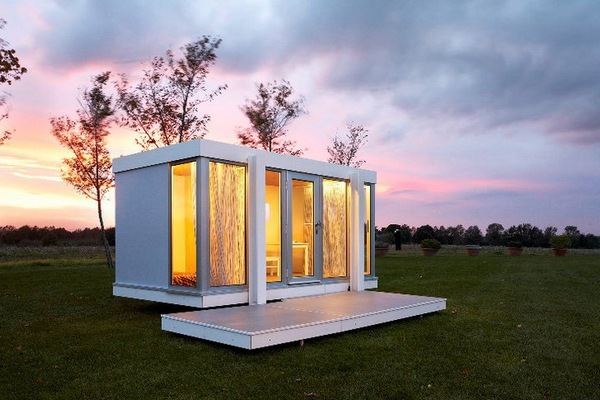 The most organic of SmartPlayhouse’s designs is the Casaforum. 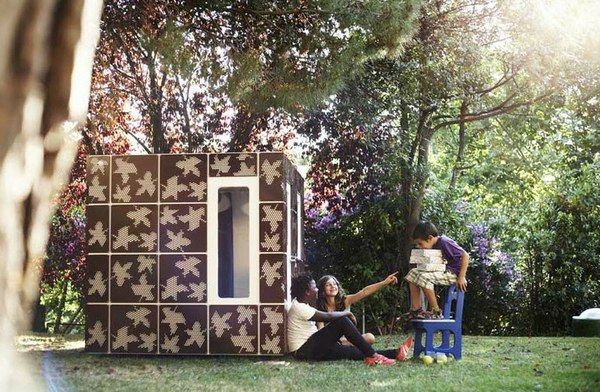 Covered with perforated steel plates shaped like leaves, the Casaforum blends wood and steel to create a cubby that is so pleasing on the eye that it could well be a sculpture. 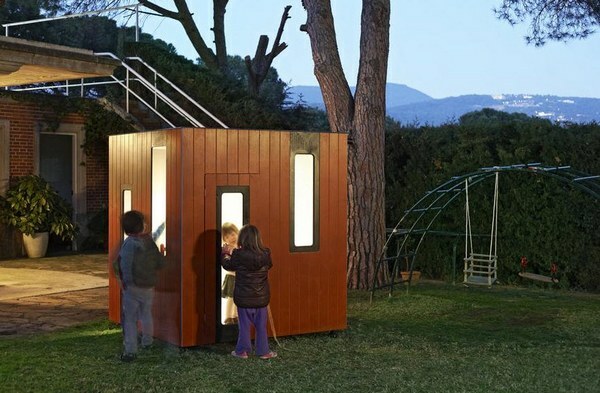 You may have noticed that at SmartPlayhouse they refer to their designs as garden sheds. Perhaps it’s a case of lost in translation, but it made me giggle. These beauties are as much garden sheds as my friend’s five bedroom seaside retreat is a beach shack! Want more? Take a look at our previous posts on cubby houses.